NoMao, a new name of online map application. It applied Google Maps API ( I think so ) and really friendly to use. 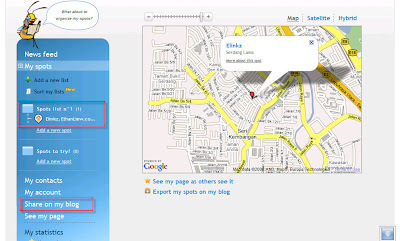 It allows us to 'bee' on a spot on the earth and share your locations to your friend or placed the widget on your blog. I would like to say the GUI is really attracting me with all those fancy AJAX technology!! 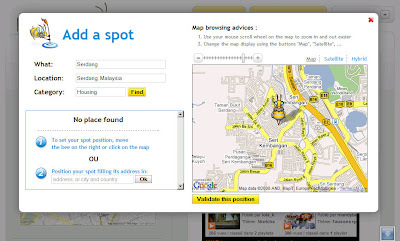 Figure 1: Click sign up and search for a spot or to add a new spot. Figure 2: Cute GUI to guide you! Figure 3: You got your spot added and you can get the widget code and post on your blog! You can take this opportunity to post your business spot or to memories some special places that you want to mark it down. Probably your first dating place? Well, enjoy the technology!